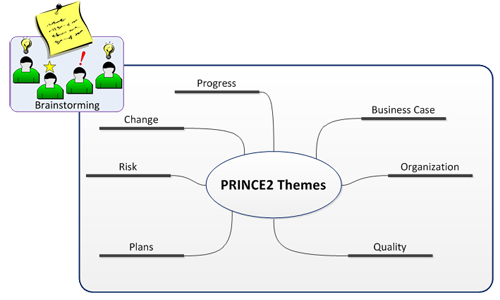 What is a PRINCE2 Theme? *Tailoring is covered in a separate workshop. The PRINCE2 Themes 'answer a question'! questions that the PRINCE2 Themes could answer. Business Case Why...? Why are we doing the project...? Why will the benefits help us...? Organisation Who...? Who is responsible for...? Who has the role of...? Quality What...? What is the project scope...? What will the project create...? Plans How...? How much time is planned for...? How much money is there for...? Risk What if...? What if a risk is found? What if an opportunity is found? Change What is the impact...? What is the impact of...issue? What is the impact if we change...? Progress Where? Where are we now...? Where do we want to go...? Not only is a good working knowledge of where and when management products are used during a project, it will also help you save valuable minutes in the Practitioner examination if you can understand which management products are connected to the different PRINCE2 Themes. It is not essential to memorise the following table, but being familiar with it will be very helpful. So what do you need to know? What else will be useful for the Foundation and Practitioner examinations? Question 1: On a project planned for less than 1 week, which themes can be dropped? All 7 PRINCE2 Themes must always be applied. Question 2: Which of the 7 themes is the “why“ ? The Business Case answers the question why. 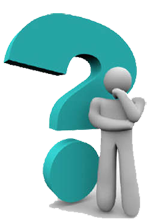 Question 3: What do PRINCE2 Themes describe? Question 4: What questions does the Progress Theme answer? The Progress Theme answers questions like: Where are we now?, Where are we going?